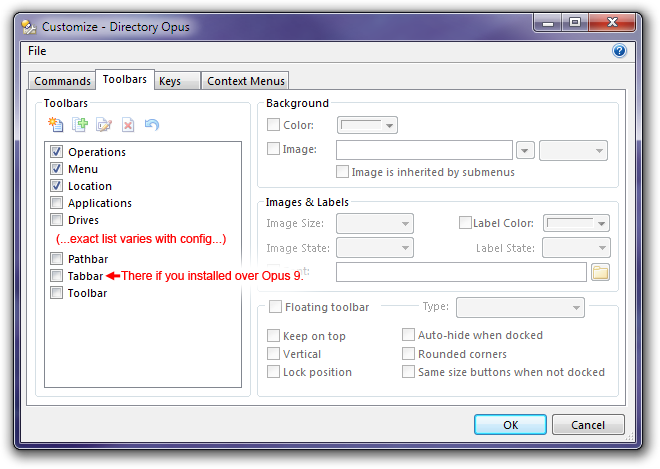 Go to Settings -> Customize Toolbars. If Tabbar is in the list, simply turn it on and click OK. If you don't have the old toolbar, don't worry; it is very easy to create from scratch. 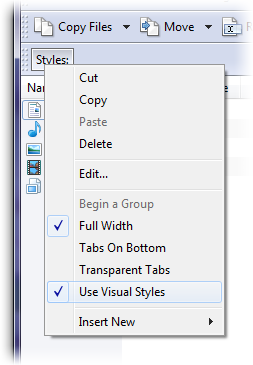 Go to Settings -> Customize Toolbars and select the Toolbars tab, as before. Click the New Toolbar icon above the list of toolbars. Call the new toolbar "Tabbar" (or whatever you want). 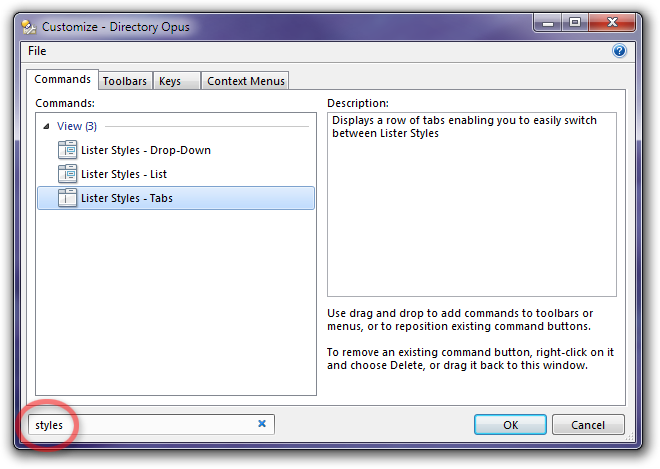 In the Customize window, select the Commands tab. Type styles into the filter at the bottom of the window. One of the matching items should be called Lister Styles - Tabs. 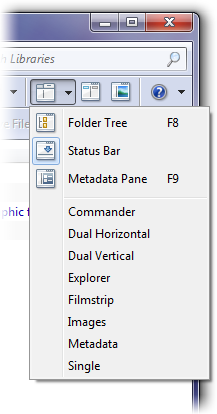 Drag the item out of the Customize window and drop it on your toolbar.